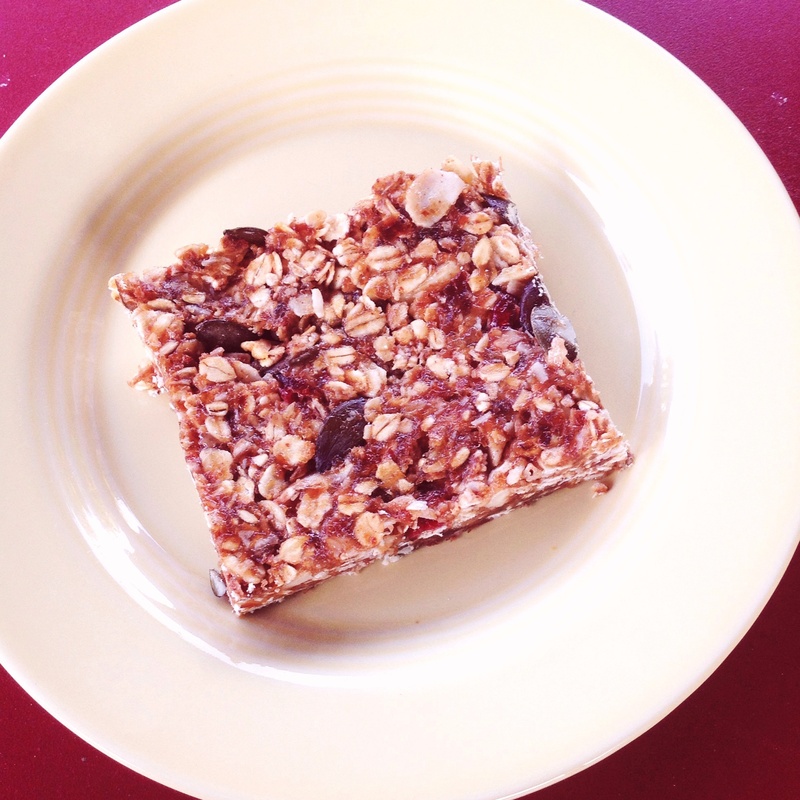 These homemade chewy granola bars are something that I now keep on hand all the time. They’re super easy, can be made in 20 minutes, delicious, and freeze well, so you can always have a snack to have on the go. They’re adaptable to your personal taste and ingredients can be changed up for something new. And there’s no baking required! They’re also cost effective. I calculated that these bars come out to about $1 per bar depending on your choice of ingredients. Easier on the wallet, pre-made granola bars of the same stature are much more expensive, some being $3 a piece and filled with questionable ingredients. These have by far been the best granola bars I’ve tasted, and I have a test tasting group who’s agreed (my family)! The base of these granola bars are dates. Dates are a sweet fruit that are sticky, which makes them great as the base to hold these bars together. Dates also have a lot of nutritional benefits and are easy to digest. You can buy dates pitted already or left whole. They’re easy to pit yourself, so no need to buy pitted if they’re more expensive. The next key ingredient are the liquid ingredients. This is a mixture of a sweetener combined with a nut or seed butter of your choice. This creates a second binder to the bars and adds protein. You can choose honey, maple syrup, or agave syrup as your sweeter, and peanut, almond, or sunflower seed butter. The last set of ingredients are your dry ones. This consists of oats, then your choice of nuts, seeds, dried fruit, or shall we dare, candy! Sometimes I add chocolate, but I steer away from too much sweet because the other ingredients are rather sweet already. 1 Cup Choice of Nuts, Dried Fruit, etc. Place oats, nuts, dried fruit, and dates in a bowl. tip: chop nuts up so they’ll stick in the granola bars easier. You can add up to a half cup more of dry ingredients if it’s something chopped up very fine. On warm heat, melt honey and peanut butter is a saucepan on the stove. Add to oat and date mixture. Mix until combined. Place mixture into a 9″x13″ pan, and spread evenly. Press granola bars into pan until completely flat and holding together. Refrigerate 15 to 30 minutes. Cut into 12 bars. You can then then wrap each bar into plastic wrap and place into a freezer bag. Or place each bar between wax paper and keep in an airtight container. You can thaw the bars in the refrigerator the night beforehand. Pack in your bag and they’ll be at room temperature and ready to eat when you get to where you’re going.